Ken Kimes and Sandra Ward met in Los Angeles and moved to Santa Cruz back in the early 1980’s. 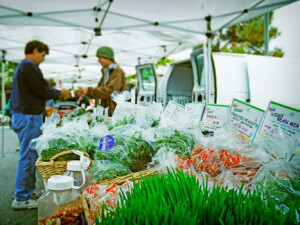 Together they founded New Natives Farm, a greenhouse-based farm certified by California Certified Organic Farmers in 1983. They grow a wide variety microgreens including wheat grass, pea shoots, sunflower sprouts and broccoli in their 40,000 ft. green houses. Over the last 20 years they have grown thousands of pounds of microgreens, using good organic seed, natural sunlight, clean water, and nothing more. In addition to managing their farm full time, both are outspoken activists dedicated to the sustainable agriculture movement. 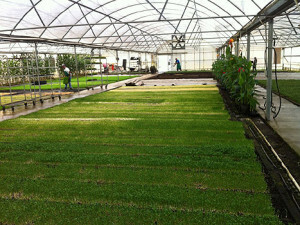 Growing microgreens of high quality and using the natural elements, is very important for the farm. Tours begin at 10 am. and include the greenhouses and packing area. 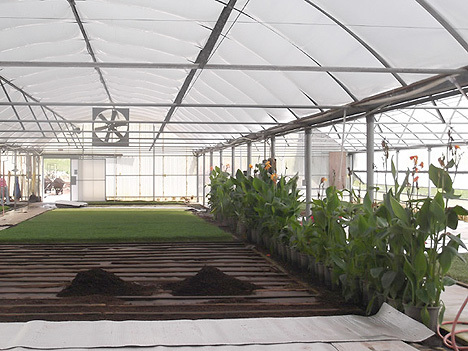 People will be able to see how the microgreens are started from seed and become acquainted with the numerous steps involved in growing them commercially. 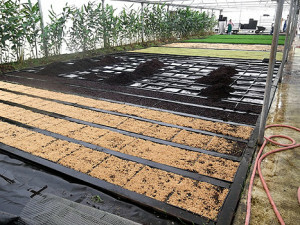 Samples of products grown will be available to taste. Tours will be given every hour on the hour. 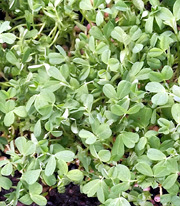 A wide variety of microgreens will be available for purchase at the farm.